Seth MacFarlane is a true Renaissance man. As the creator of the animated series Family Guy and co-creator of American Dad, not to mention the voice talent of many of those shows’ characters, he achieved a measure of notoriety for the genre of stupid and mildly offensive humor. But MacFarlane is also a Grammy-nominated singer, director and producer of one of the top-grossing movies of all time for its rating, and of course, bestselling author of a first novel that has already been adapted for the upcoming film of the same name. A Million Ways to Die in the West is not for everyone. As a very loose rendition of historical fiction, it requires an ability to enjoy the suspension of belief in order to appreciate the humor, as well as an ability to look past the few offensive remarks to that are both poignant stabs at the time period as well as timely interpretations of the fact that prejudice and racism are far from dead. Albert Stark is a sheep farmer in the town of Old Stump, a miserable place that makes the show Deadwood look like the Vegas strip. The title of the book comes from the very real understanding in Albert’s world that every single day is an exercise in not letting something random kill him. Snake bites, cholera water, gunslingers, wild animal attacks, and all out nastiness are just a handful of the myriad ways that one could end up dead in that time and place; of course, if the actual disease, crime, or accident doesn’t kill you, the doctor’s attempts to save you will certainly finish the job. Interestingly, MacFarlane’s take on history and humor is actually a beautiful love story, with the lives of several intertwined characters playing out on the page. He gives the same attention to the backstories of side characters that he gives to Stark, all without dragging down the pacing in any way. My favorites must be Edward and Ruth, a mild-mannered cobbler and his fiancee of six years (the town brothel’s employee of the year) who have yet to have relations because it would be ungodly, what with them being Christians and all. In some ways, the best aspect of the book is the fact that the author’s ingrained sense of humor shines through, but it is ultimately far more intelligent than what plays out each week on his television shows. While somehow meeting at the crossroads of asinine and genius, the book is a fantastic, in-one-sitting delight. 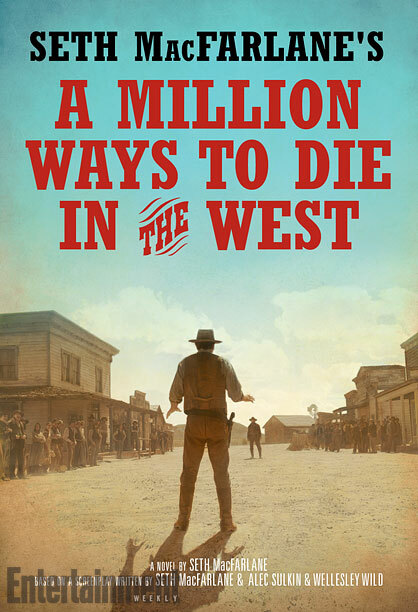 Posted on April 14, 2014, in Uncategorized and tagged A Million Ways to Die in the West, ebook review, historical fiction, humor, Seth MacFarlane. Bookmark the permalink. Leave a comment.